1. 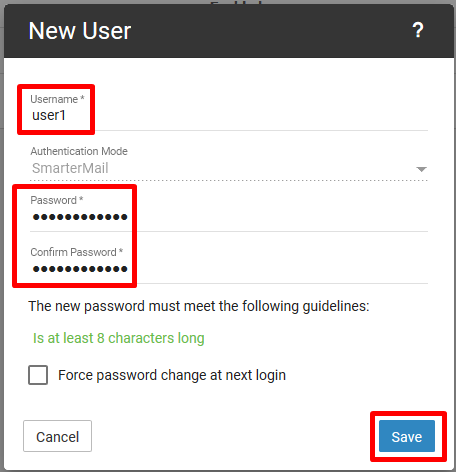 Login to Dynamail using your Postmaster account(admin). 2. Click on Domain Settings. 3. On the left pane, click on "Accounts" then on "New" to create new email account. 4. On new pop up, fill the email details that you wish to create then click on "Save"
5. The email account is created. It will redirect to account summary page.